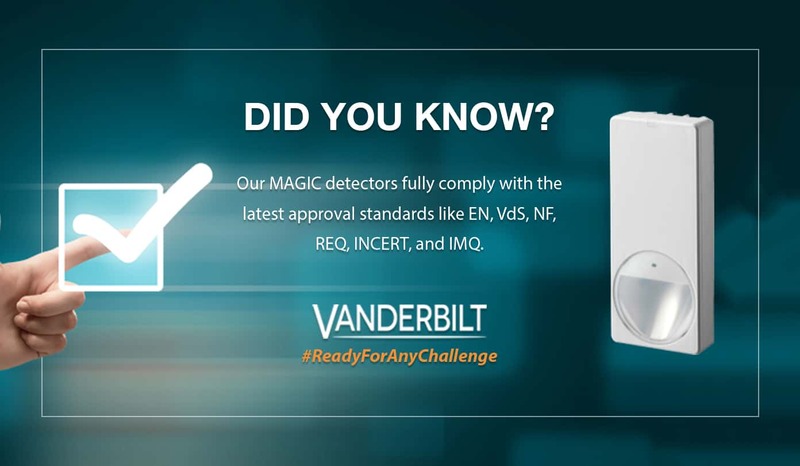 The range of complementary detectors from Vanderbilt, such as glass break detectors, offers the final touch to any modern security system: from door and window contacts to silent alarming devices, no area will be left unmonitored. 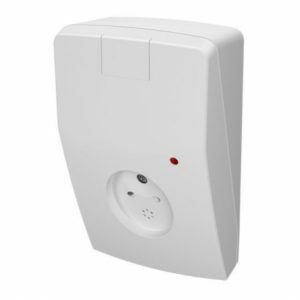 The AGB800 is a modern acoustic glass break detector giving an alarm when glass is broken due to attempted intrusion through doors, windows and glazed walls. 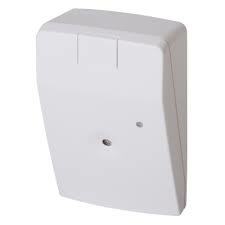 The detector is based upon the latest technology and has internal filters to avoid unwanted alarms. The DRC Digital Room Compensation feature enables the detector to distinguish between glass breaking and general background noise. After extensive research and tests Vanderbilt AGB800 detectors have been evaluated in more than 2000 break scenarios, where more than 20,000 disturbance signals have been recorded and analysed. Consequently during testing the detectors achieved 100% test results across sequential breaking of glass. Building on the outstanding false alarm immunity and fast, simple installation of the previous AGB600 acoustic glass break detector, the AGB800 & AGB800-AM are the latest state of the art Vanderbilt glass break detectors for monitoring one of more areas of glass. Developed with the latest microprocessor technology, which incorporates advanced algorithms monitoring the room acoustics (Digital Room Compensation, DRC). breaking and other internal noises. 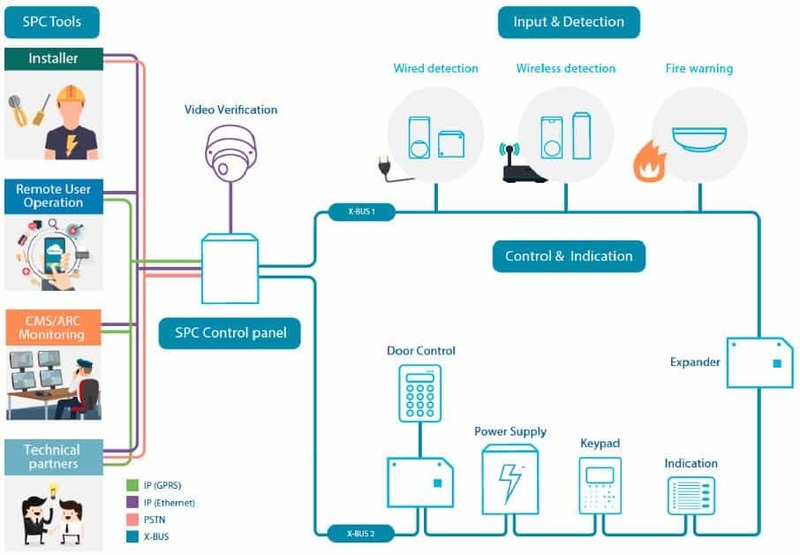 Developed with the latest microprocessor technology, which incorporates advanced algorithms monitoring the room acoustics (Digital Room Compensation, DRC). These algorithms reliably distinguish between glass breaking and other internal noises. Both models are suitable for internal use and can be ceiling or wall mounted facing the direction of the glass being protected. Multiple window monitoring is achievable due to the 9 metre detection distance over a range of 165º.